It has been a busy week. 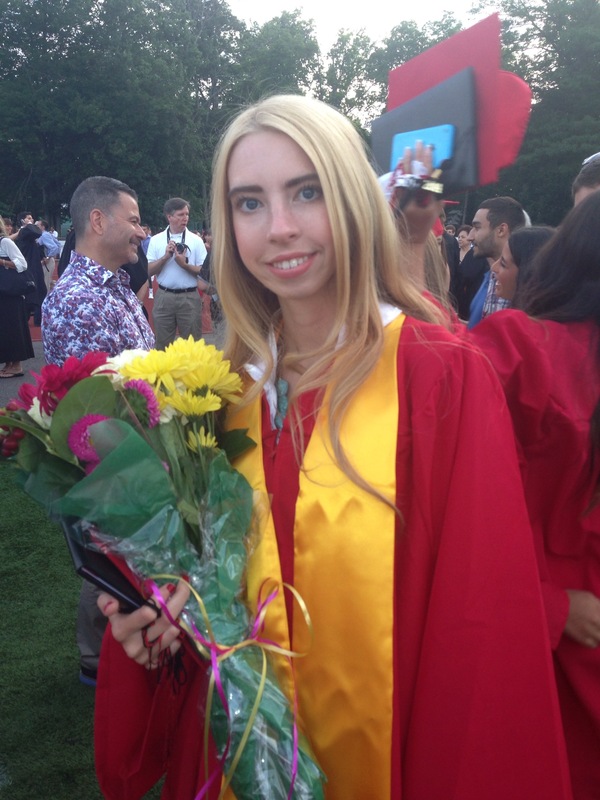 Last Friday, Rob’s daughter graduated from high school. We had a party for her on Sunday, and then I went to Aspen for the week for Aspen Ideas Festival, Spotlight Health. 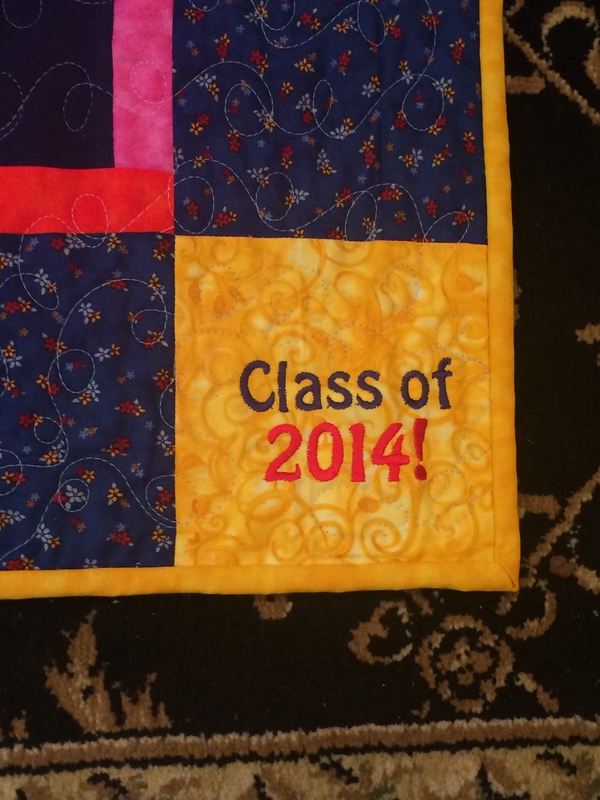 More on that later, but first, the graduate, her t-shirt quilt, and the party. Sophia had an amazing high school career, both academically and athletically and her parents and extended family have a lot to be proud of. 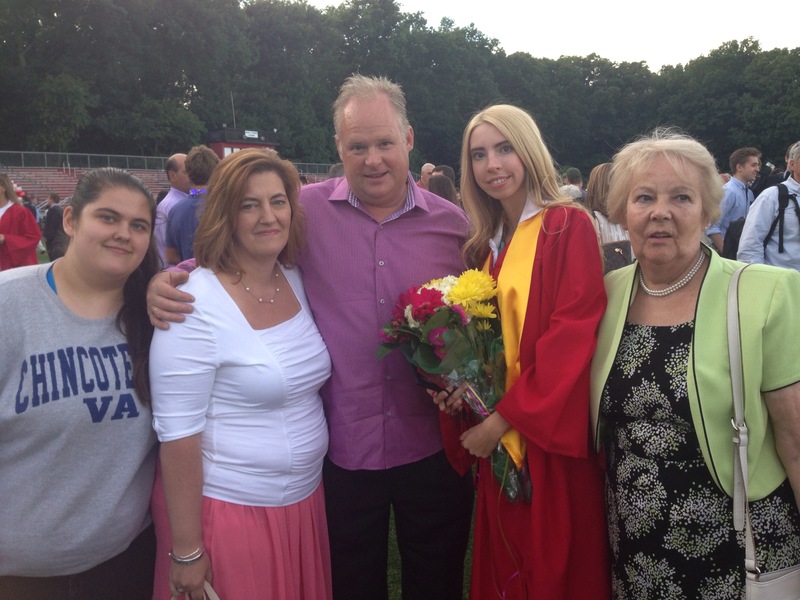 We enjoyed her graduation and are all so excited for her to head off to UC San Diego next year. To commemorate the occasion, I wanted to make her a quilt. I’ve actually wanted to make her a quilt for close to two years but I never had the right fabric. Some seemed to young, and some too mature, and nothing was quite right. 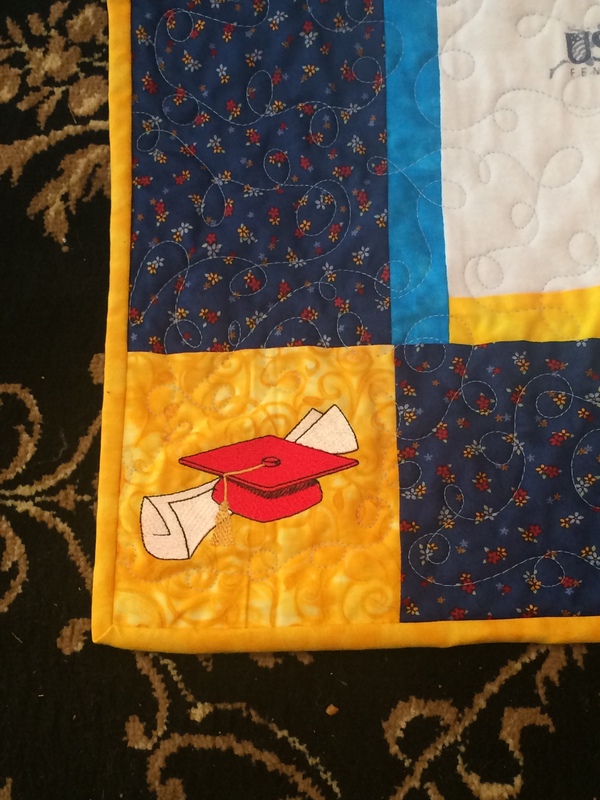 I had wanted to do a signature quilt for her for graduation but couldn’t get everyone to collaborate on that, so that idea passed. 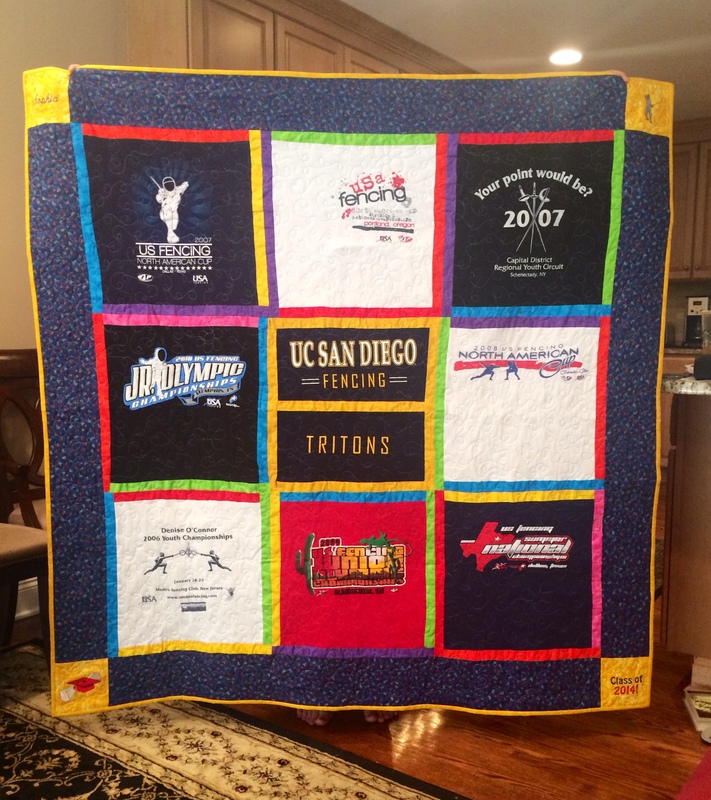 Then, her Dad and I had the idea to take her fencing t-shirts and make her a commemorative t-shirt quilt. She has fenced all over the country, and will continue fencing at UCSD. Sophia had gotten her Dad a t-shirt during her visit and we used that for the center, surrounded by her past tournaments to reflect her past and her future. 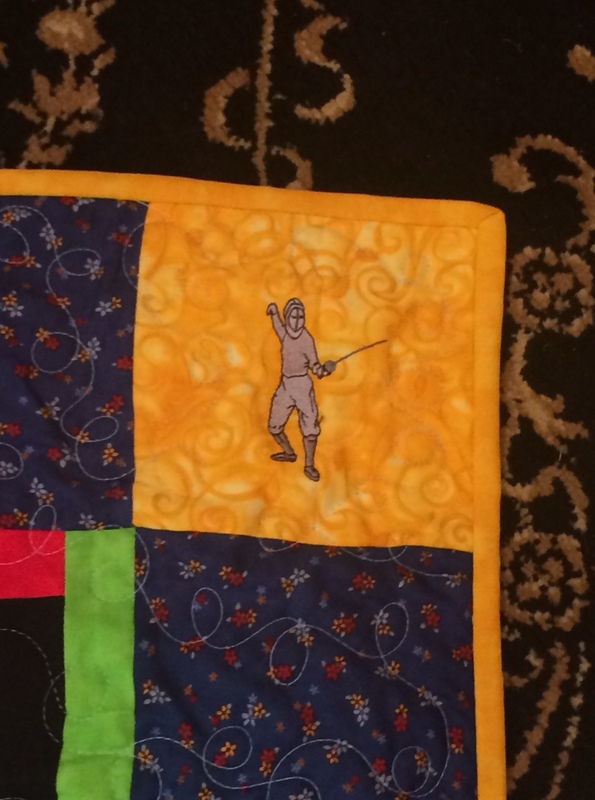 The cornerstones of the quilt were embroidered with her name, a fencer, Class of 14 and a cap and gown. I think (hope) she loved it and was genuinely touched by the effort. And what an effort it was as we made it over two days and got the whole family involved. Maddie advised on layout and colors. I cut the t-shirts, pieced it and quilted it. Rob loaded it onto and off of the long-arm machine. And Rob’s mom did the binding. Sometimes it really does take a village. We had a fun time at the party for Sophia too. Rob’s sister and nephew came (the hubby had to work and the niece is in Europe) along with Rob’s parents. Sophia had asked for burritos or macaroni and cheese and anything chocolate for the meal. Well, I came up with a make-your-own-fajita bar with wild rice salad, corn, grilled asparagus, and black beans. All homemade. We even found some chili pepper fabric in my stash to dress the table! 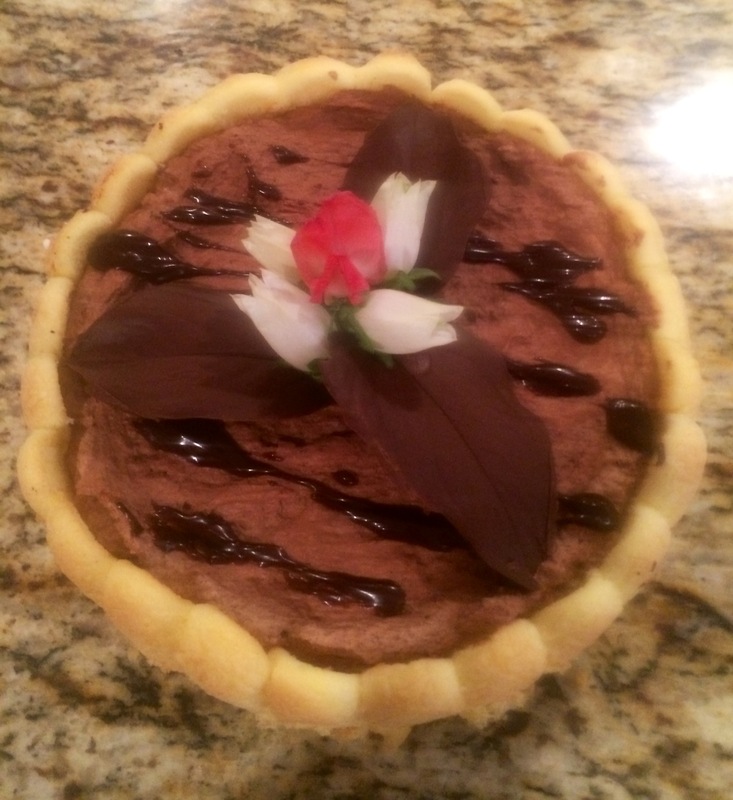 Dessert was even trickier as we had a lot to celebrate. Sophia got a homemade chocolate mousse cake with a chocolate sponge base that you can’t see. 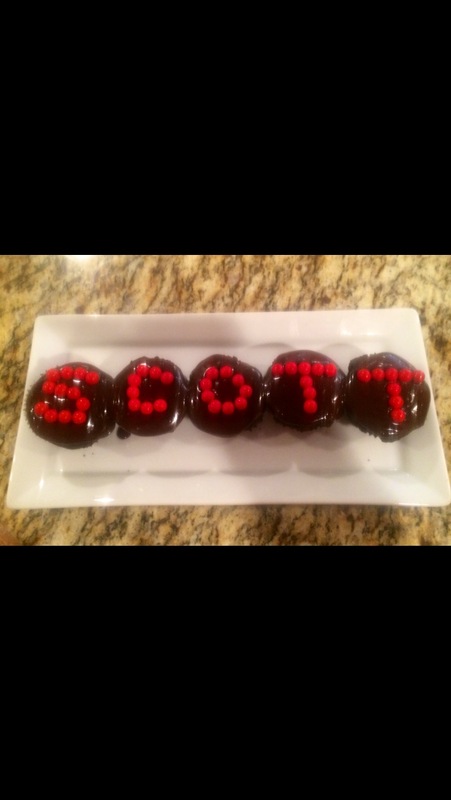 Scott (the adorable nephew) moved up from middle to high school so he got chocolate ganache filled cupcakes. 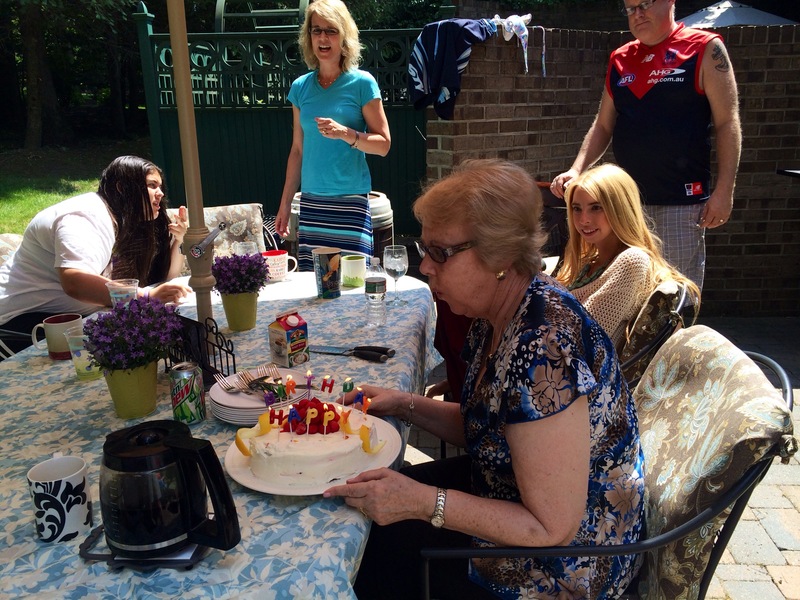 And the next day was my mother-in-law’s birthday. 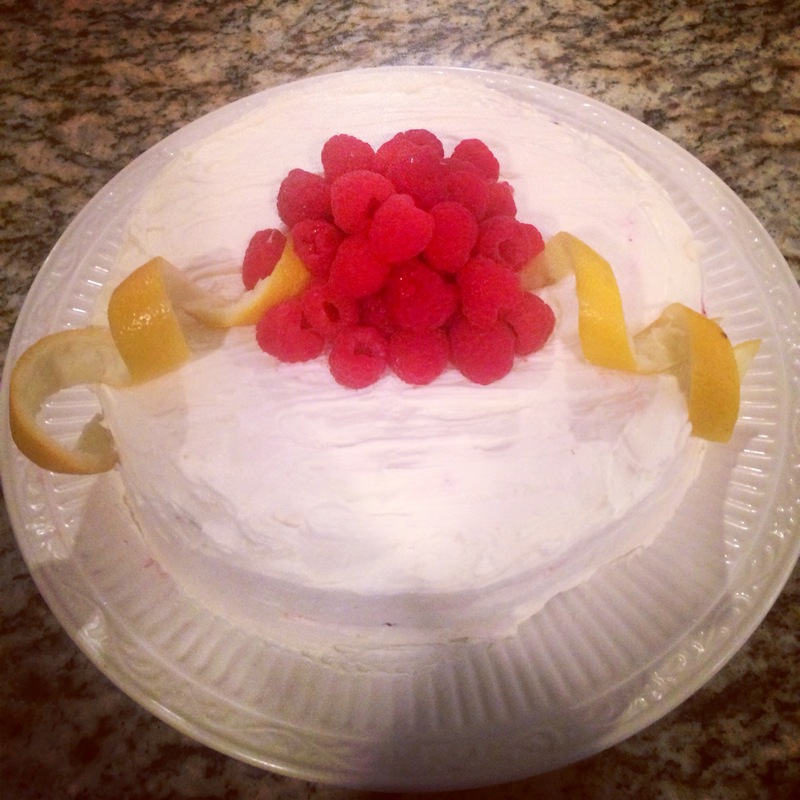 For her we made a homemade fresh lemon raspberry cake. 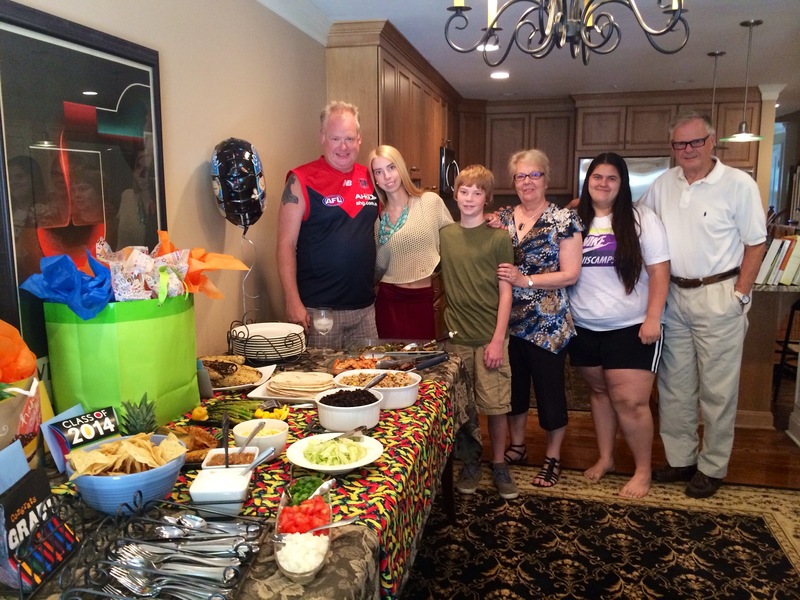 It was a really fun day – and next up will be Maddie’s birthday this week! Oh I’m so glad you shared this Erin! What a lovely day….and idea! The quilt is fabulous and Sophia will be a great moral support to Sophia when she’s at uni. Very clever….I am inspired. Thank you so much Jane. It was a great day. Hope you are doing well!!! Hi Susan, Congratulations to your graduate too. It is an exciting time for them. Maybe our kids will become pals. 🙂 I’d love to see your quilt when you have it made. I will check your blog.